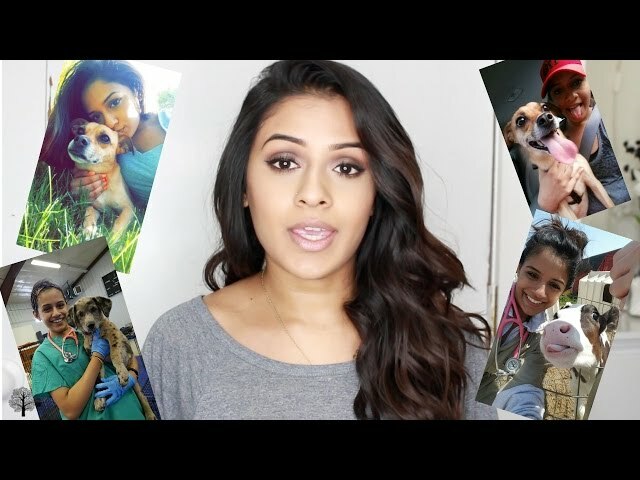 How I Got Into Veterinary School | Advice For Medical School & Other Grad Programs! First off, sorry for the blinding lighting in this….one day I’ll get my ish together, promise. I’m so happy many of you are reaching out to me about veterinary school and grad school in general! I hope that you guys find this helpful and please comment below with any and all questions! What I talk about is not limited to vet school – it definitely applies to all grad programs like medical school, dental school, and non-science grad schools as well! The video itself is so damn long and I def don’t want you guys to be forced to watch the whole thing so I tried to organize the video based on times and what I talked about at each point. Click on the timings below and it should take you to that part. Also, I did a super quick summary at the end if you just want to watch that! 0:58 – Disclaimer — please understand this is simply my experience. It is NOT a template to follow blindly nor is it assurance of getting into any such program. It should just help you plan ahead & figure things out! 1:56 – I began volunteering at an animal shelter/rescue agency when I was 10 years old. 3:56 – Animal experience is important early on – it helps you figure out what you want to do. It helped me realize I wasn’t a huge fan of private clinical practice; I didn’t see myself doing that as a job, day in and day out. 6:55 – Also, highschool grades are very important for college and scholarships!!! I personally believe, if you’re planning on grad school, you shouldn’t dish out money for undergrad. As long as you’re not sacrificing the quality of your education, save money! 10:09- Most important job as a college student = GET GOOD GRADES! Vet school is so competitive which is why grades are so key. 11:48 – If you’re thinking about vet school, start figuring out all your prerequisites. Do some homework on what certain vet med schools require. 12:47 – Plan ahead! My experience in college – finishing my prereqs early gave me a lot of time for fun. Point of the story? Get good grades! Get money! 13:33 – Research, work experiences and recommendation letters!!! I forgot to mention this, but I also did a few weeks of work with cows and lab animals during college. 15:30 – lol I hate research. Do it anyway. 16:08 – Have fun! PARTY! Balance your life! Learn to work hard and play hard. 19:20 – The veterinary medical school application process. Which veterinary schools I applied to. My reasonings for the schools I picked. How to choose a grad school that is right for you. 23:35 – Put a lot of effort into your personal statement! 25:16 – Quick summary for middle school, high school, college and veterinary, medical and other grad school applicants. That’s basically it. Obviously a lot has been going since vet school started for me (I am currently in my second semester of 2nd year) and based on the response I get from this, I will definitely make a Part II. If you watch this video and are uber stressed, don’t be!!! Keep in mind that this is was my dream from day one! Also I came from a family and culture that put a lot of importance on grades and education so I was almost forced (in a good way) to get good grades which made the process a bit easier for me. If you’re concerned about grades, don’t be deterred. Know that IMPROVEMENT means a lot to these schools and combined with evidence of passion and effort, there are infinite ways to stand out as a candidate. If you still aren’t sure about what you even want to do…THAT’S OKAY TOO! There are tons of vet students who took a different path or didn’t know that this is what they wanted to do. If you are late to the game and still want to go to any type of graduate school, you can! You just have to prove your diligence and dedication! If you majored in something else or applied to another field or had a different job, you can always still apply to vet school and get in as long you have the right passion for it and the proper means of succeeding aka hard work! Thank you for your interest! If you have any questions, ask away! Thank you! Also love your eyeshadow haha! Great video – thank you! I’m in the process of knocking out my pre-reqs for vet school (career change). Curious to know where you ended up going for vet school? I’m interested in all three of the schools you got into. how old where you when you worked at an animal hospital? Thank you for sharing. I’m just now starting the long journey at age 32. I sure hope I do well enough to make it. Hey! I just found your channel and found this video helpful. I just wanted to ask what advice you would give to someone who decided they wanted to become a veterinarian during their second year of college? What are the recommended subjects to take in high school to get a higher chance of getting into a vet school in the future. thank you for making this video it’s really helpful! can you talk about how you organise your life and plan your daily activities with so much going on in your undergraduate life getting really good grades and having fun at the same time? it sounds as if you have had your shxt together since you were a child when most people are still a mess at high school and into uni, how did you do it? many thanks! Would having a GED and no bachelor’s degree affect my chances of getting in? This is assuming I completed the pre-reqs and got good grades. Just watched your video here and it helped me so much! Im only 20 years old and I’ve always wanted to work with exotic animals 🙂 And your advice and personal experienced made me realize a lot! Thank You!!!!!!! I would love to feature you in an interview for my blog https://howigotintoveterinaryschool.com/ I just emailed you.